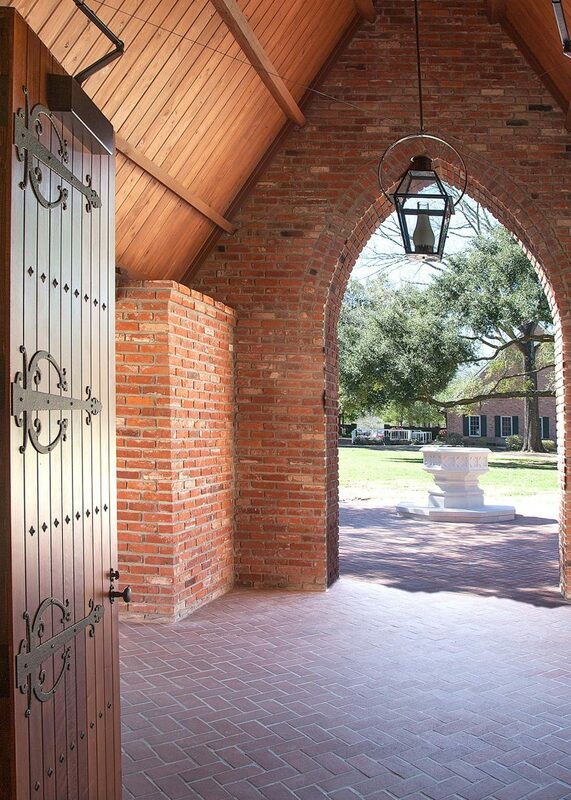 “What would Hays have done?” Architect Davis Jahncke often found himself returning to that question while his firm, Jahncke & Burns, renovated a chapel designed by A. Hays Town on the campus of the Episcopal School of Baton Rouge. Town, one of Louisiana’s most noteworthy 20th-century architects, left an impressive legacy. 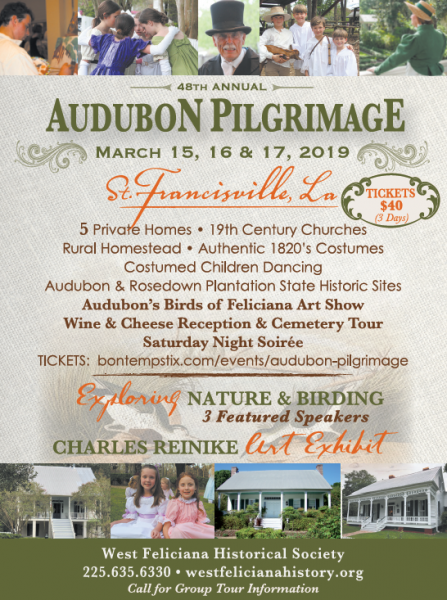 While many of his contemporaries rejected historical precedents in favor of a sleek modern aesthetic, Town instead chose to incorporate South Louisiana’s vernacular Spanish, French and Creole building traditions into his residential designs. 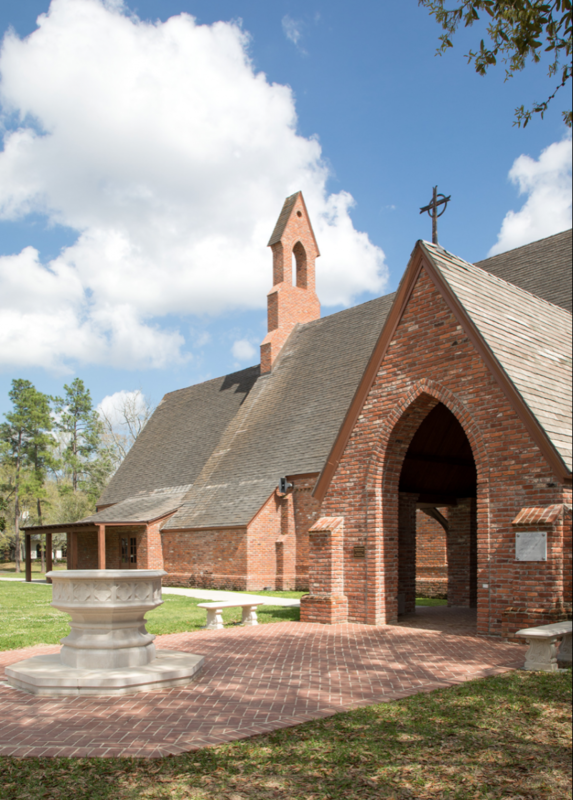 When the New Orleans firm Jahncke & Burns was commissioned by the Episcopal School of Baton Rouge to renovate the Town-designed Lewis Memorial Chapel, it was a natural fit. 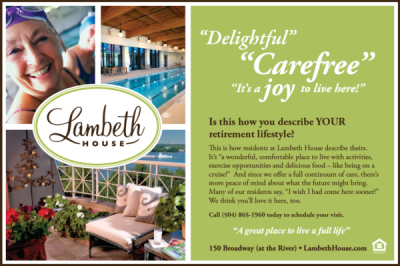 Jahncke, principal architect, had long admired Town’s work and was a personal acquaintance of Town, who died in 2005. The Episcopal School’s chapel is somewhat unusual among Town’s work. 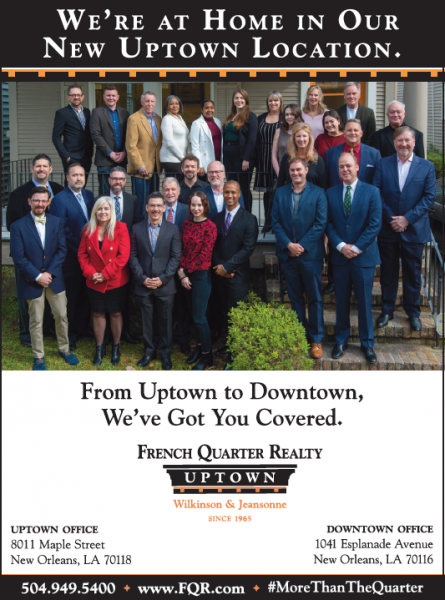 Designed in 1967, the chapel draws from historical precedents like many of the architect’s other designs — but not from the Spanish, French and Creole vernacular architecture that Town had become fluent with in his residential work. 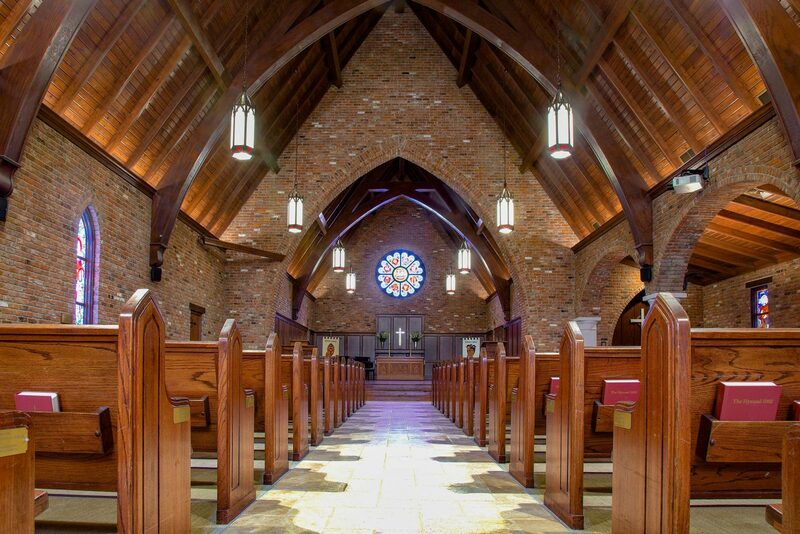 The chapel’s inspiration came from the architecture of English Gothic churches, the preferred style of the Episcopal Church during the 19th century, which was brought to the region by Americans of English descent after the Louisiana Purchase. Town used the 1853 Christ Church in Napoleonville — a Gothic Revival red brick church with a steep gabled roof — as a key reference for the Lewis Memorial Chapel, as well as for a nearly identical church designed by the architect 10 years prior: the 1957 Episcopal Church of the Ascension in Lafayette. Construction began on the Lewis Memorial Chapel in 1969 on a pay-as-you-go basis. The chapel remained an open masonry shell for several years until, piece by piece, construction was completed in 1974. Although the building was only 42 years old at the time Jahncke & Burns’ renovations began in 2016, it needed several updates to better meet the modern-day needs of the Episcopal School. “Town was so traditional that we had to do some of his modernizing for him,” said Andrew D. Spaulding, project architect at Jahncke & Burns. “There were a lot of things that had to be brought up to technical standards that the school needed,” he said. What began with needed improvements to lighting, sound and HVAC systems eventually launched a full renovation to create a more flexible and functional space for the school. The building’s entryway was previously uncovered, leaving the solid wood doors to deteriorate with direct exposure to weather. A narthex, or covered porch, was added to the main chapel entrance during the renovation. Its construction with red brick, a grand arched opening and heavy timber roof framing carefully matches the architecture of the chapel. A narthex was added to the west side of the chapel, matching the building’s Gothic-inspired architecture. With the new addition, the chapel’s solid wood doors are now protected from direct exposure to weather. Photos by Charles E. Leche. The building had previously stood alone from the other campus buildings, but a covered breezeway also was built to connect the new narthex to an adjacent academic building to increase the chapel’s functionality even in inclement weather. Tuscan columns were chosen for the covered breezeway to bridge the Gothic style of the chapel with the neoclassical style columns of the connecting academic building. The construction of a new wing to the chapel added much-needed restrooms, which the building was originally designed without, in addition to a new chaplain’s office. The relocation of the office to the new wing opened up the previous office for use as additional classroom and meeting space for the school. Prior to the renovation, lighting — provided mainly by small wall sconces — was dim. Larger pendant lights matching the Gothic style replaced the undersized wall sconces, and were hung from each of the chapel’s arched wooden trusses. Decorative wainscoting was added to the walls behind the altar, matching the rich woods found on the ceiling and trusses. The floors of the nave were given a facelift, replacing small white tile with larger ones resembling rough tumbled stone, and updating the carpeting beneath pews to help with acoustics. New Gothic-style pendant lights hang from the chapel’s arched trusses to illuminate the renovated interior. Photo by Charles E. Leche. The chancel, the part of the chapel surrounding the altar, was originally multi-tiered. During the renovation, it was converted to a single level with a movable altar on wheels to add even more flexibility to the space. A Gothic-style wood altar rail reclaimed from the former St. Elizabeth’s Home for Girls in New Orleans was incorporated at the front of the chancel. 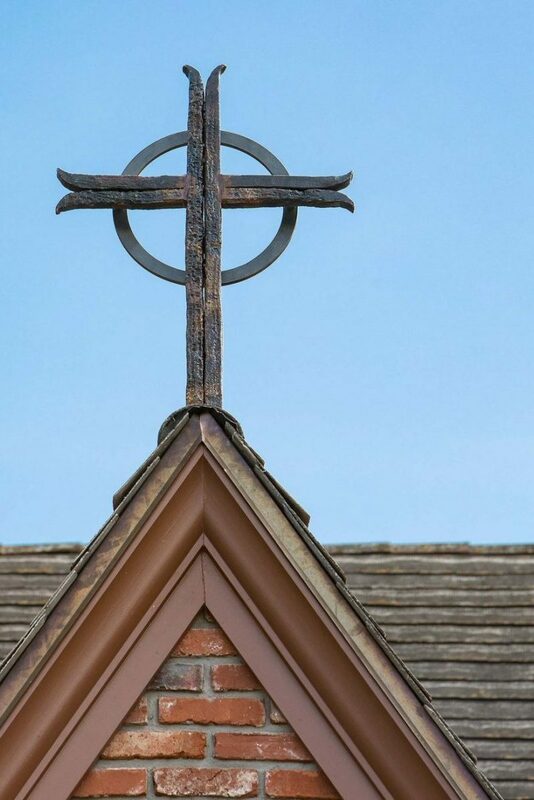 1: A cross, created by third-generation New Orleans metal worker Darryl Reeves, adorns the renovated Lewis Memorial Chapel at the Episcopal School of Baton Rouge. Reeves welded together 18th-century iron chimney braces salvaged from the Old Ursuline Convent in the French Quarter to create the chapel’s new cross. Photo by Charles E. Leche. 2: The Rev. 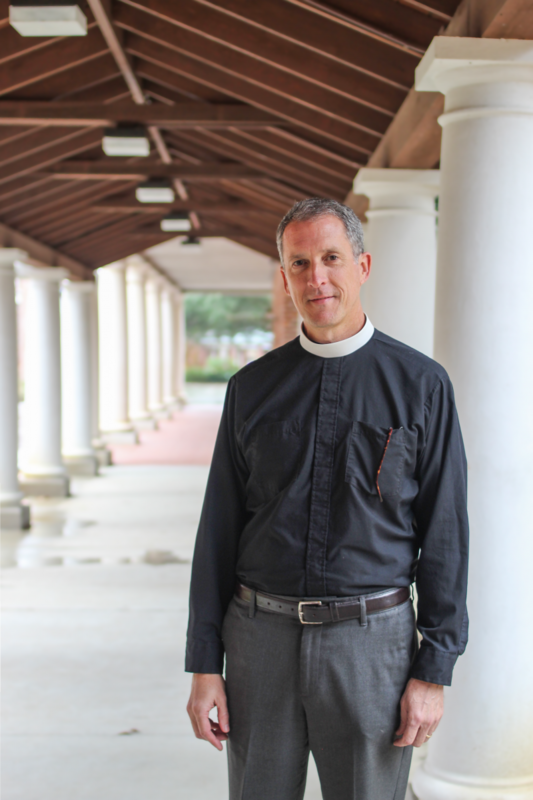 Kirkland Knight, senior chaplain at the Episcopal School of Baton Rouge, stands in the new breezeway that connects the chapel to the other campus buildings. Prior to the renovation, inclement weather hindered its use. “Now, it’s much more user-friendly and accessible to people for all sorts of things,” Knight said. Photo by Liz Jurey.